Gig posters on this page from Nick Zeigler. More below. Wonder how much these cassettes are going for these days? 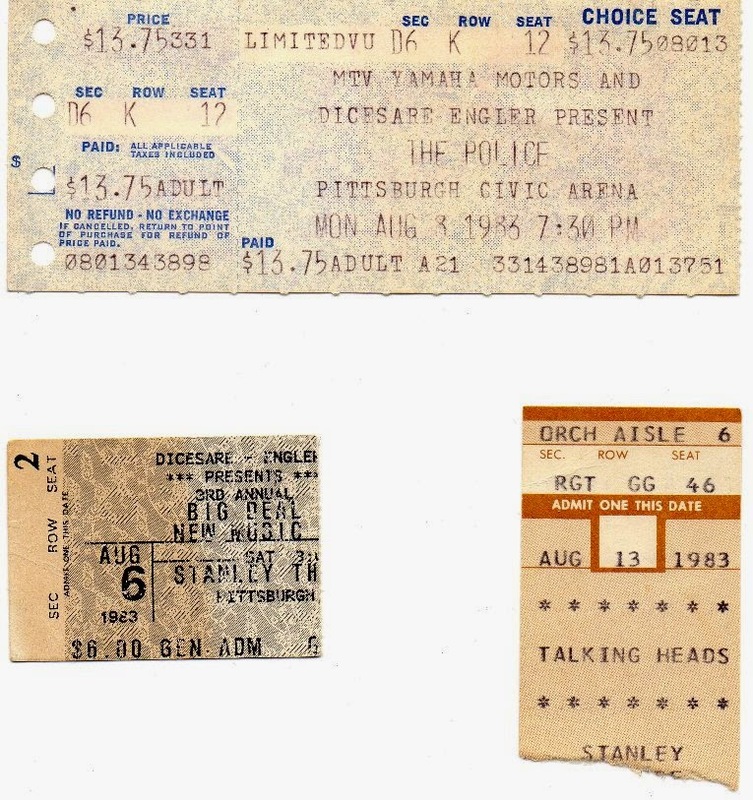 Great concerts seemed to come in bunches in 1982 and 1983 in Pittsburgh, this time during an eight-day period. Joan Jett opened for the Police. The aptly named Big Deal featured the Five, Boystown, 96 Tears, Kids After Dark, and Ground Zero. Ticket stubs from Joe's personal collection.